Modern day manufacturing demands significantly tighter tolerance expectations and accuracy is paramount when machining increasingly complex and high value components. Often, in precision driven industries the difference between what is considered a good part from a scrapped part is just a few microns on diameter. While there has been a significant increase in expectations to meet tighter tolerances, the technology to adjust boring tools has remained largely unchanged for the past 50 years. Traditional adjustment methods place reliance on skilled machinists or CNC operators to set the tools cutting edge to fine margins using graduated dials. Even with the most skilled operators available, the process has a certain element of trial and error, and precision adjustments can be affected by clamping after adjustment. On finish boring operations, with little or no margin for error, can we afford to risk scrap of high value components? The introduction of Industry 4.0 manufacturing techniques expresses the need for more efficient, accurate and safe manufacturing practices. 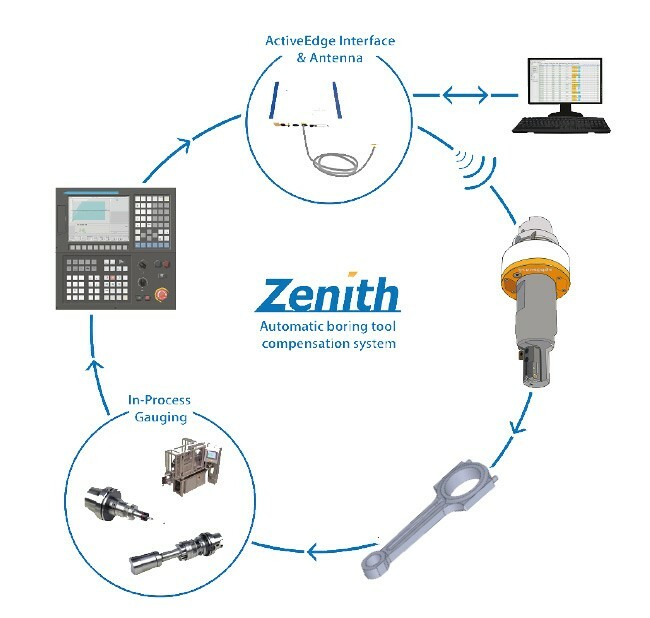 Rigibore’s Zenith is a fully automated, closed-loop boring tool compensation system. 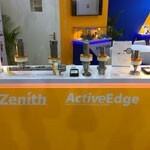 The solution integrates ActiveEdge tools with in-process gauging, enabling a machine control to automatically adjust for insert wear, temperature change and material inconsistency. By automating these precision cutting edge adjustments, the process removes the potential for human error in which can occur in complex manual adjustments. 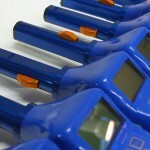 This solution allows pre-defined upper and lower warning limits to be placed on bore sizes. If bores reach these limits a warning is communicated to the machine tool to ensure the next machined bore is returned to nominal. Use of these warning limits certifies part quality and removes the risk of scrap through oversize bores. 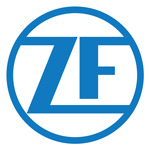 Application of the Zenith fully automated boring solution frees up the operator who was previously tasked with a time consuming and complex tool setting process. This labor can be utilised in completing other important pre and post-process machining duties, essential shopfloor tasks such as deburring, inspection and other contributory production duties can be completed whilst the solution runs unmanned.